The view is amazing! 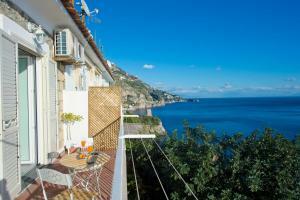 Praiano is the best town on the Amalfi coast, so glad we ended up there. 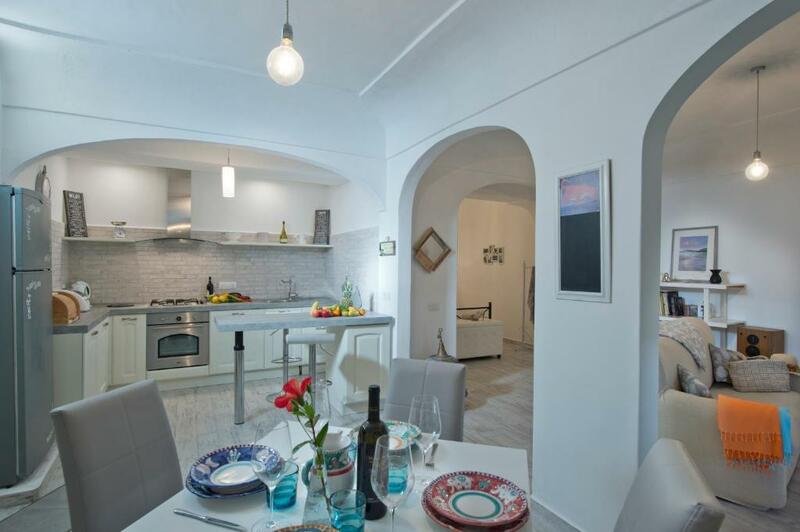 Fully equipped and amazing place: kitchen (with pots, pans, utensils, toaster, stove/oven, fridge/freezer...) satellite TV, wood stove, bed, bathroom, music system... Everything what you need to enjoy. 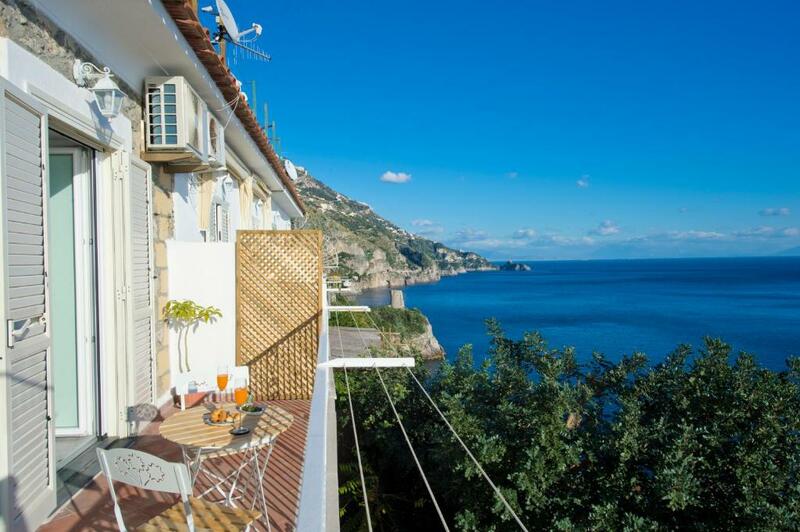 Amazing views on the Amalfi coast! Pictures cannot justify the experience. We were very well received by the host. On our first day and a long day of travel, we were given a ride to the local grocery store. Since we traveled in November, and we had some colder nights, the host helped us kindly with wood for the stove. Very unique and warming. Highly recommend this place! 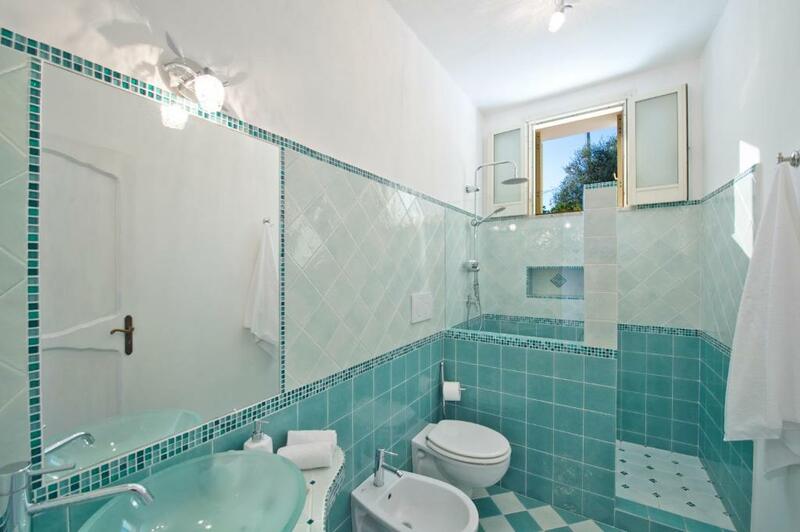 Great apartment with everything you need to feel at home. If you are looking for a relaxed time, watching the sea, listening to the waves then this is the perfect get away location for you. Local shops and restaurants within walking distance to stock up or eat out. Even a great Pizza delivery place nearby! Delia (the host) was lovely. She specifically printed off bus timetables and other various things for us to do during our stay. The view was incredible and the apartment was spacious and clean. It was well equipped with everything you could need to prepare your own food. If you don't have a car, it was very handy to have a fully equipped kitchen (with the local supermarket being walking distance). The wifi was also free and excellent. Delia wasn't home when we arrived but her son happily let us in to the room. After the drive out there we were ready for a rest. The parking was convenient and free of charge as we reserved in advance. We were able to wash our clothes and the shower was refreshing. Everything was easy (apart from navigating the roads). A true home away from home! Everything was awesome. 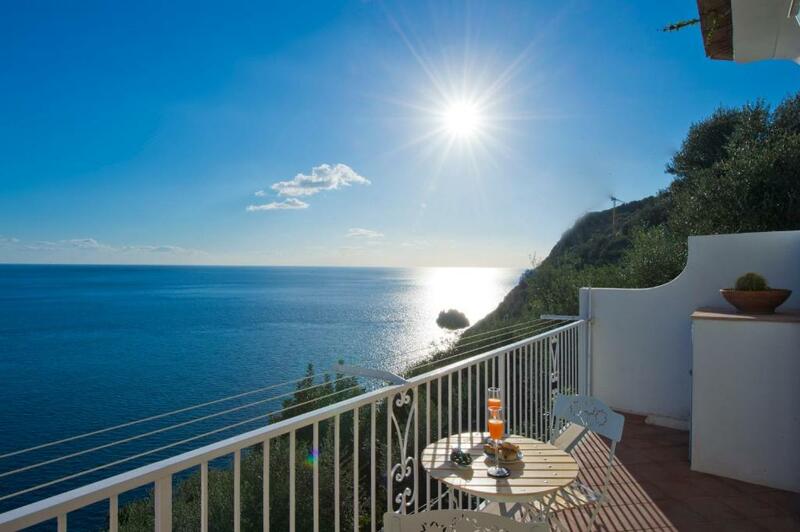 The rooms, the balcony, the facilities - there's everything you could need and even more. And everything looks exactly as in photos. Delia and Mauro were very helpful and nice, they even leave you a list of restaurants with contacts and bus schedules. Also a big plus - parking. It's quite big, not like others we saw, so there's no stress parking your car. There are also bus stops near, so you can easily catch a bus for any town in the Amalfi coast. Btw, though the house is next to the main road, there's no noise from the street! 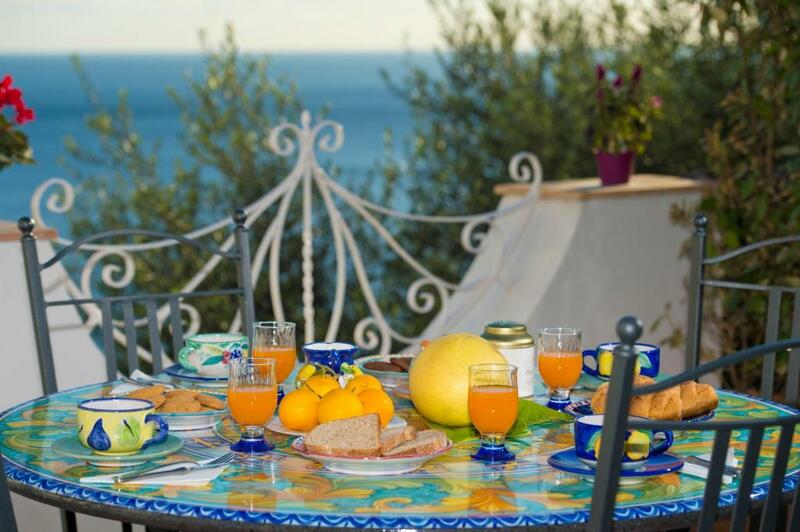 Lock in a great price for Casa Delia – rated 9.9 by recent guests! 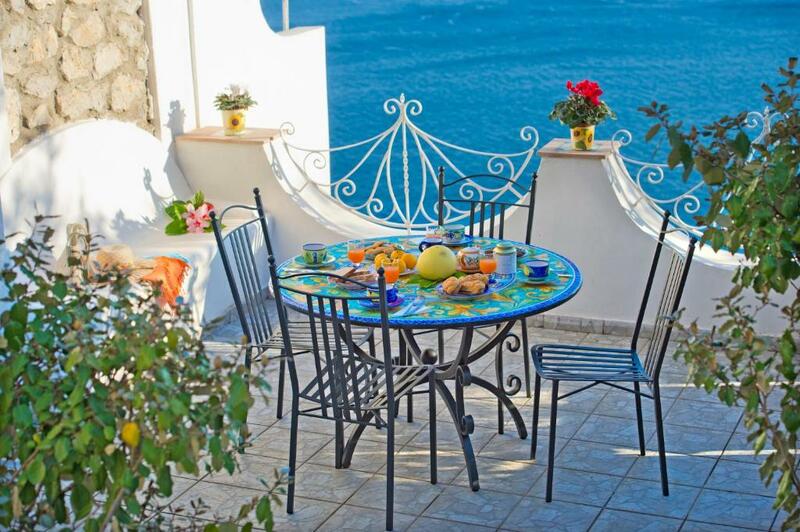 Located in Praiano in the Campania region, Casa Delia features a terrace. Complimentary WiFi is featured. The vacation home has 1 bedroom and 1 bathroom with a hair dryer. The kitchen features a dishwasher. 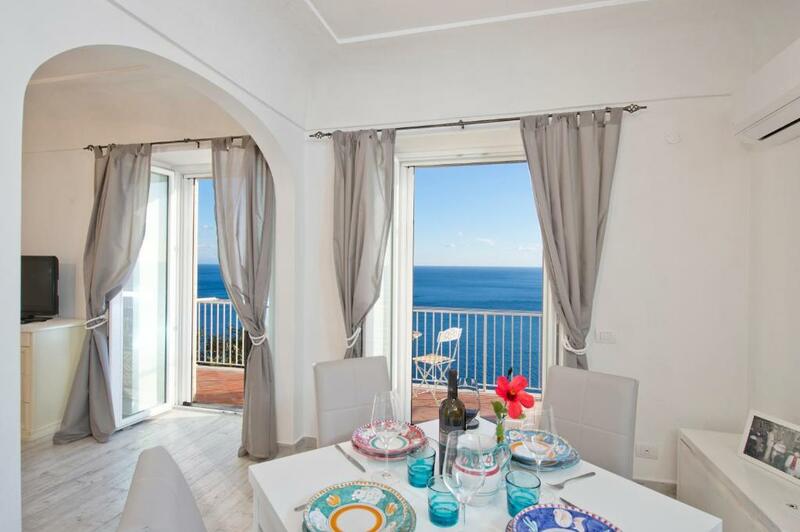 Sorrento is 14 miles from the vacation home, while Salerno is 21 miles from the property. The nearest airport is Capodichino Airport, 42 miles from the property. 뀐 Located in the top-rated area in Praiano, this property has an excellent location score of 9.9! When would you like to stay at Casa Delia? This holiday home has a balcony, toaster and seating area. House Rules Casa Delia takes special requests – add in the next step! Please inform Casa Delia of your expected arrival time in advance. You can use the Special Requests box when booking, or contact the property directly using the contact details in your confirmation. Everything in the appartment is perfect. I only would suggest the incorporation of a microwave. Although it would be useful for us, this by no way diminishes the quality and the confort we enjoy in Delia´s House. I would recommend it to anybody. 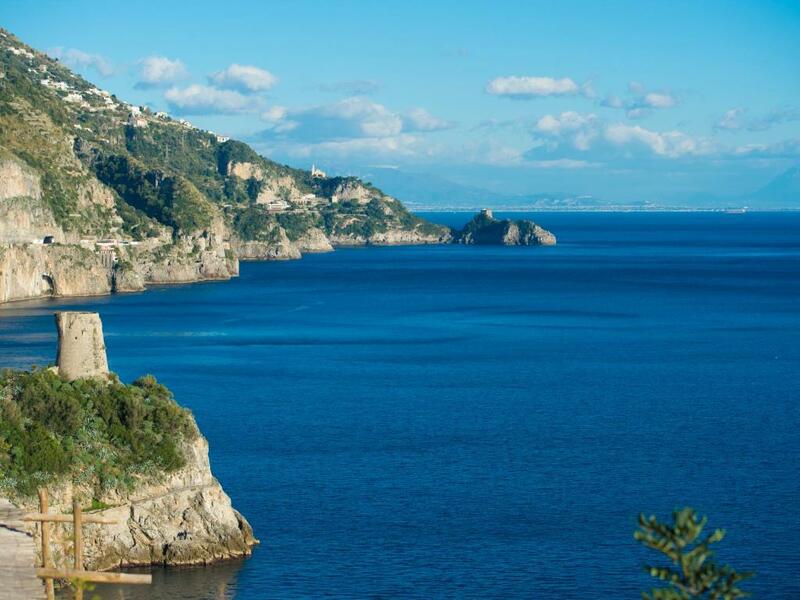 This is no fault of Casa Delia or our host, but can be a little tricky to get around the Amalfi coast from here if you are not using a personal driver/taxi. The buses can be quite busy by the time they get to Praiano, which makes it difficult to either get on or get off at the correct stop! Wonderful views, lovely host, home-from-home. Absolutely nothing - it was wonderful!! I like very hot showers and the water tank was a little small for that, the wife had no problems with it however. Would have liked a Microwave and some teabags! Only the bed!! I suppose a hard bed is some people's choice but not ours, we are used to a softer mattress. This is not a criticism, but they need some signage to identify "Casa Delia"
The location and surroundings were perfect and the weather helped. Parking is a premium there and this was easily accessible of the road. Delia and Angelo (her son) were very helpful, however they let us have our privacy. Loved it!!! Also Delia and her family accommodated my wife's alllergy to scented laundry & bedding which was very much appreciated.